Dubai, UAE, April 24, 2018: The festive season is right around the corner and Home Centre would love to share a collection of their best ethnic lanterns and candle stands from the new Ramadan Catalogue. 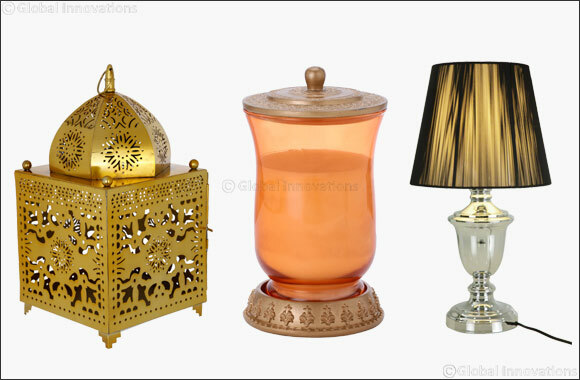 Home Centre’s Ramadan Catalogue offers amazing options to lighten up the night party décor and uplift the mood. The key highlights, The Gemma Lantern, sporting intricate golden details will add a traditional touch to your homes. While the Home Centre Baqi Candle Stand, engraved with artistic design and beautiful purple stones will give your home the perfect festive look. To add a splash of colour to your home, The Home Centre Ethnic India Jar Candle will be the perfect option as it sports an orange glass jar with a rustic gold base.